3 Bedroom Semi Detached House For Sale in Liverpool for Asking Price £205,000. 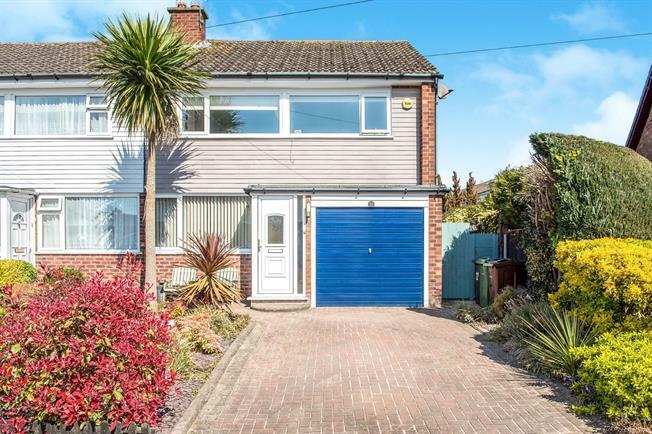 Coming to the sales market courtesy of Entwistle Green is this beautifully presented three bedroom semi detached family home with integral garage. Benefitting from open plan living to the ground floor in the shape of a living room, kitchen diner and sun room leading to the landscaped gardens. Continuing the tour to the first floor you will find three generously proportioned bedrooms, a family bathroom and separate WC.